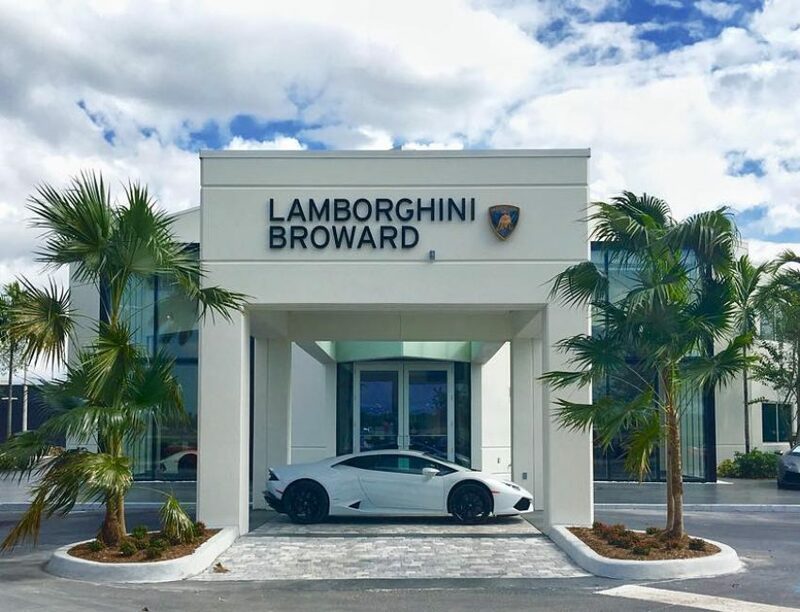 Lamborghini Broward – Spring Engineering, Inc. 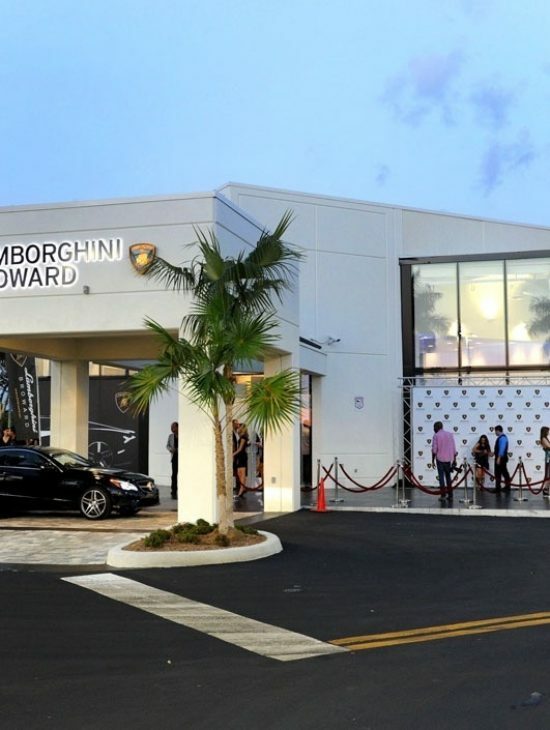 In 2015 Spring Engineering, Inc. was commissioned by Warren Henry Automotive to design and remodel an existing building in order to develop a new Lamborghini Auto Dealership. Encompassing 18,400 s.f. of interior space. 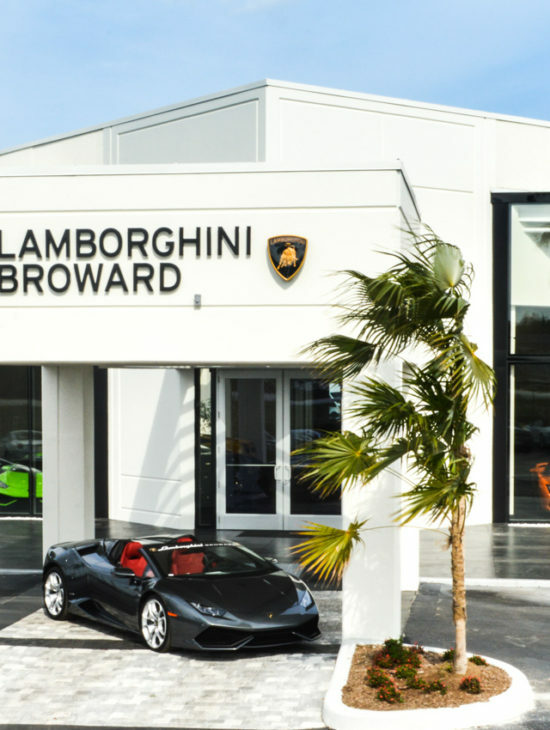 Lamborghini Broward consists of a high end showroom to display the state-of-art Service Department which includes a 10 service bays as well as detailing and a photography turntable, as well as parts storage and administrator areas. The façade is designed with clean lines and finishes and a tall curtainwall, high-efficiency windows to view the upscale auto models from the exterior. A graphic panel with Lamborghini graphics are located at the window and entry area.